I want eliminate the repeating wrong blank characters between the colons and words. I have PDF files with text that should be replaced. More specifically, the text should be translated and replaced with the translated version. It's important that the rest of the PDF structure stays intact. Note that the text is available in the PDFs and techniques like OCR are not needed. Also, it would be nice if font and other text attributes are kept. Which libraries would you recommend for extracting the text to an easy to edit format (such as CSV) and put the new text back in again? "VeryPDF PDF Text Replacer Command Line (pdftr.exe)" is a very simple, lightning-quick utility program that lets you batch replace, change or delete multiples text in Acrobat PDF files automatically. Please look at following screenshot, as you see, these words have been replaced in the new PDF file, everything is fine. PDF Text Replacer is not working. How to replace text in PDF files Programmatically? 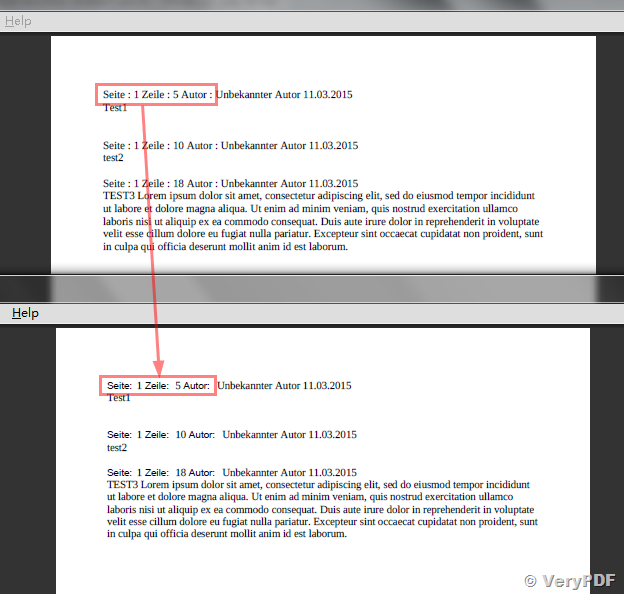 Replace Text in all pages of a PDF Document. 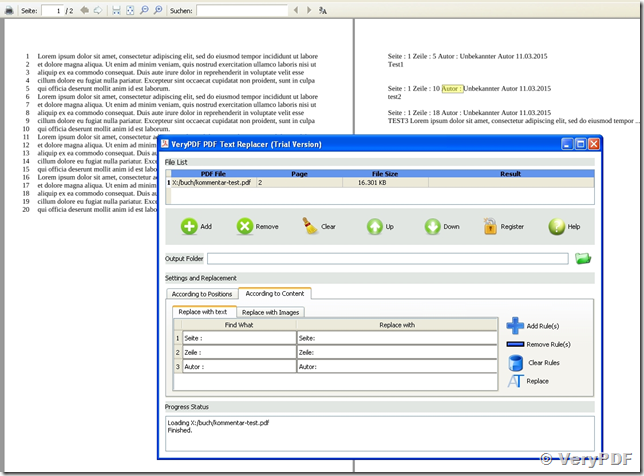 Best Find, Search and Replace Text in PDF software. 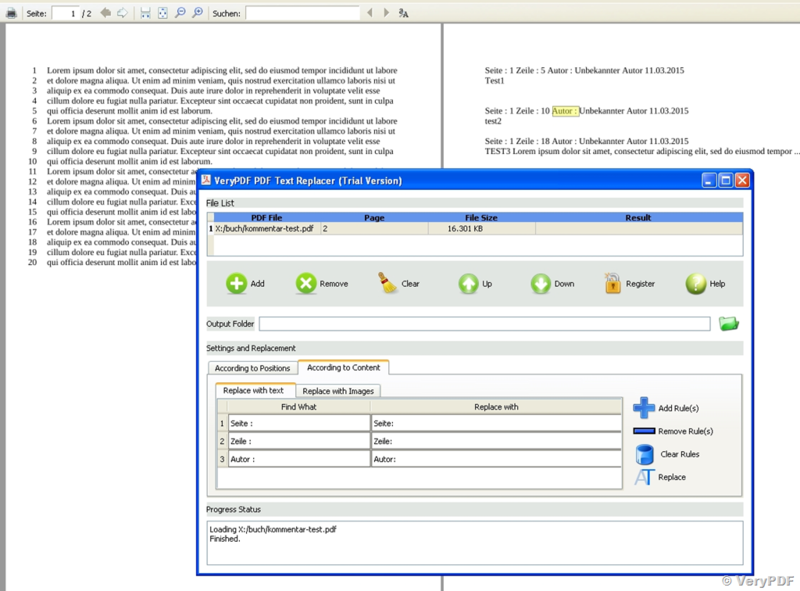 How to replace text in PDF file by PDF Text Replacer Command Line application? How to call PDF Text Replacer Command Line (pdftr.exe) from Excel or Outlook by VB Script and capture the console text message? How to use VeryPDF PDF Text Replacer Command Line (pdftr.exe) to batch replace text in multiple pdfs organized in folders and subfolders? How to replace text contents in PDF page? 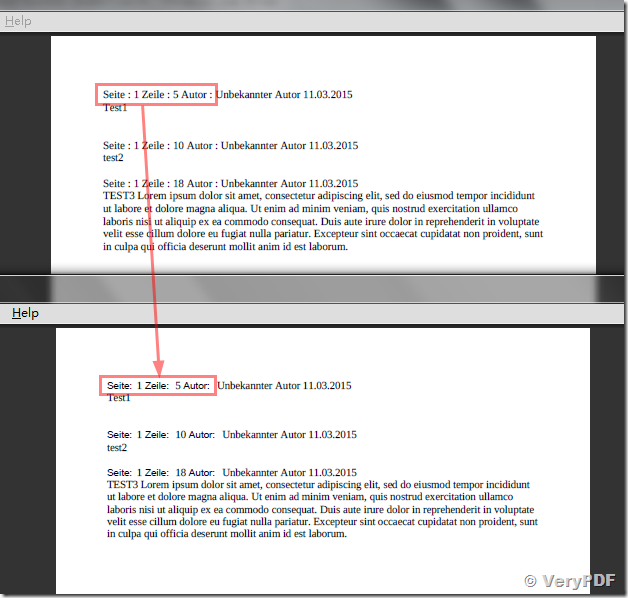 How to remove watermarks from PDF file singly or in batches? This entry was posted in PDF Text Replacer and tagged pdf text replacer, replace pdf text, replace text. Bookmark the permalink.